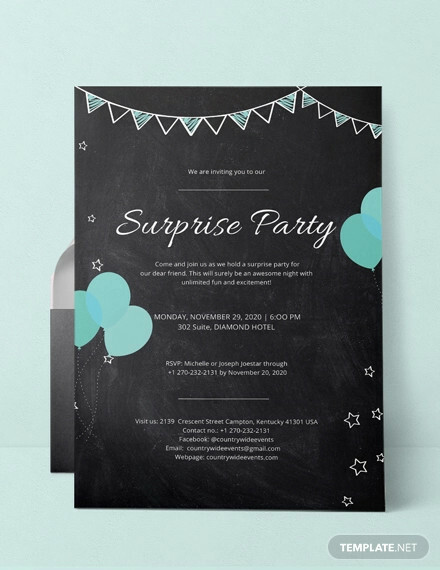 Parties, whether big or small, will surely turn out the best when invitations are used for gathering the needed attendees. Why is that? 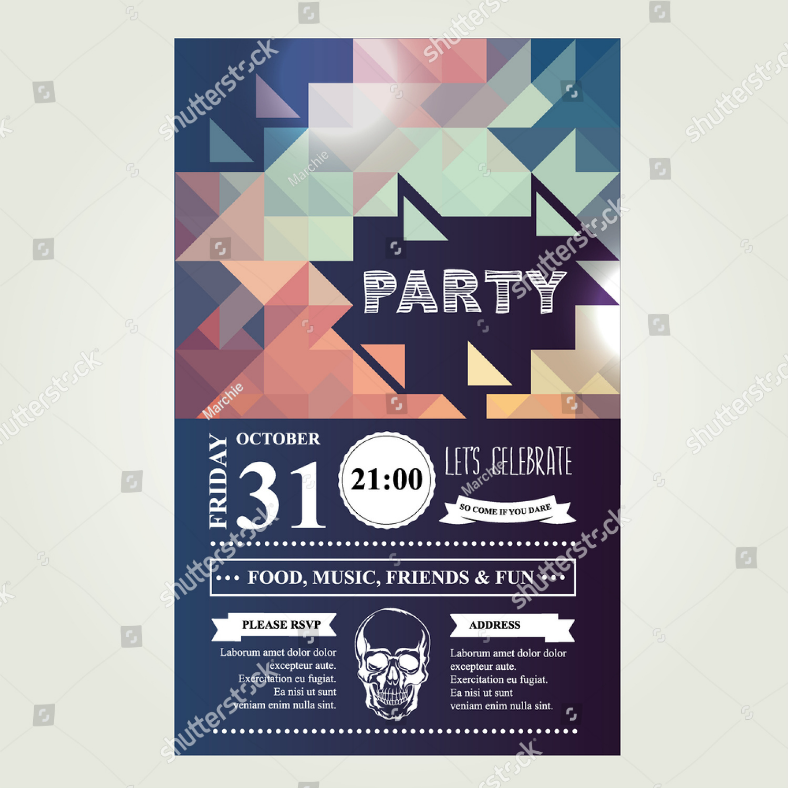 Not only will these invitations help in gathering attendees, but it can also help in actually controlling the number of guests, which, therefore, can prevent party crashers from coming in. 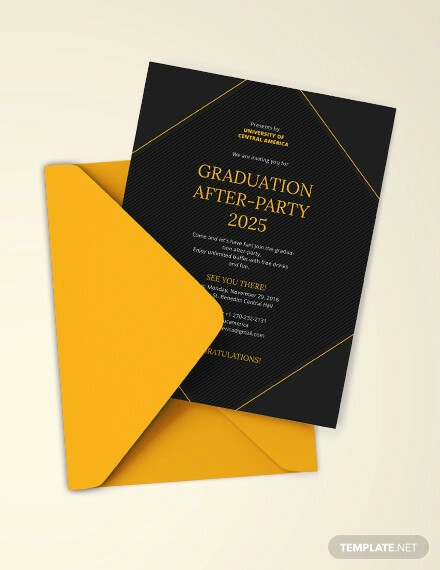 On this page, we have 35 of the best party invitation designs that you can find on the Internet, and we have gathered them all for you, which means that you won’t need to go to other websites to find great invitation templates. 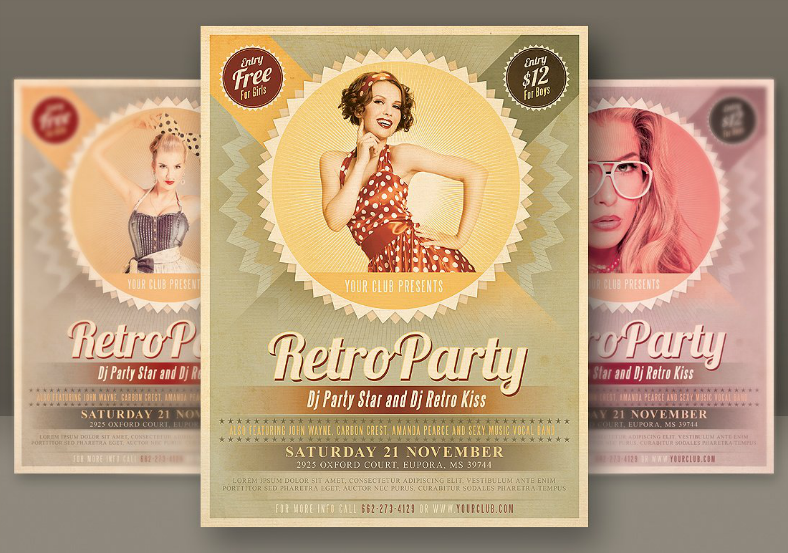 These designs are in PSD format, which are quite easier to edit than vectors. 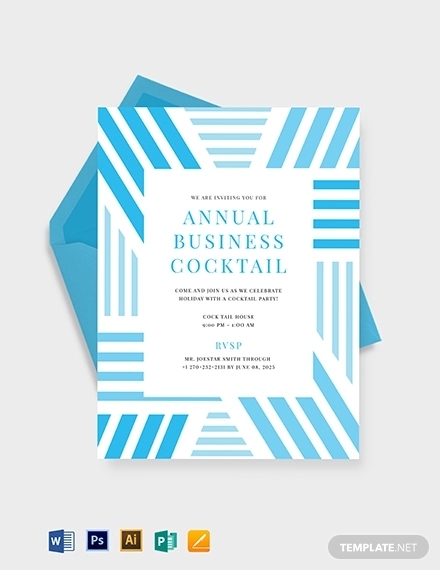 Go ahead and scroll down to see the invitation designs yourself. 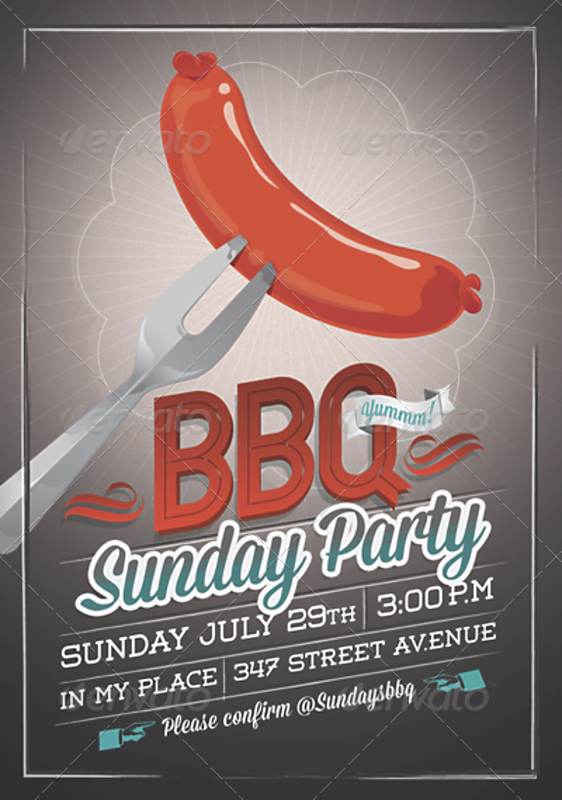 Let’s start by checking out this invitation design for a barbecue party. 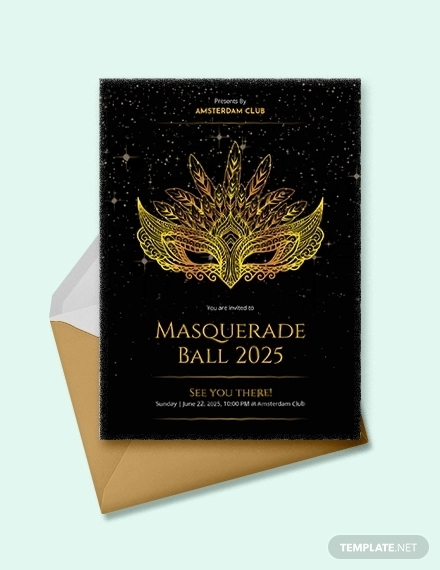 This design is very straightforward by simply focusing on providing the reader with the information they need regarding the event such as the date and time, and the street address where the party will be held. 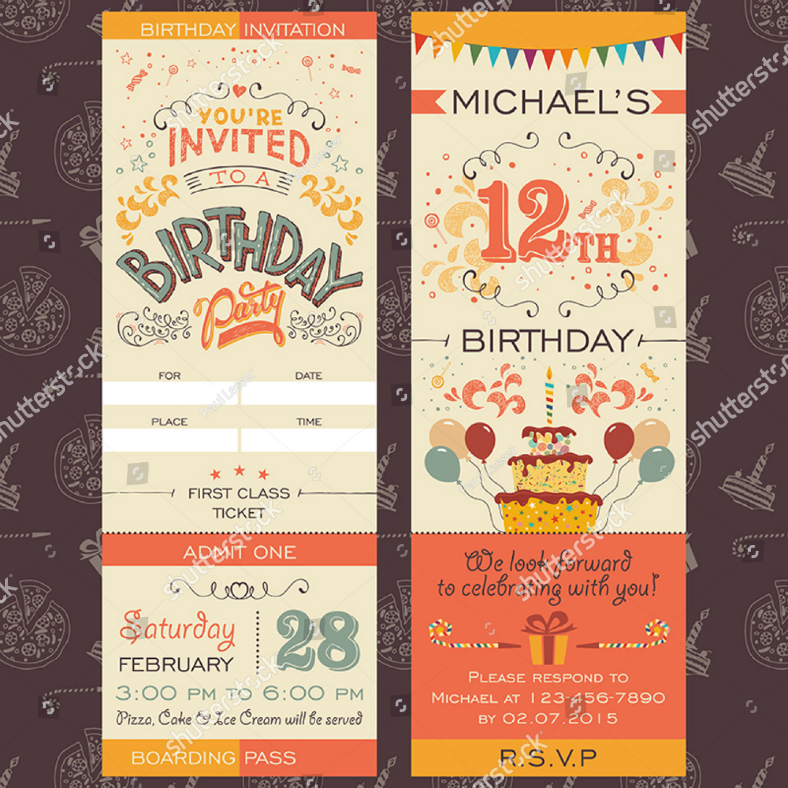 Just like other invitations, there is also an RSVP section on this design, which is very helpful to give the host an idea on the number of people who are certain in attending the event. 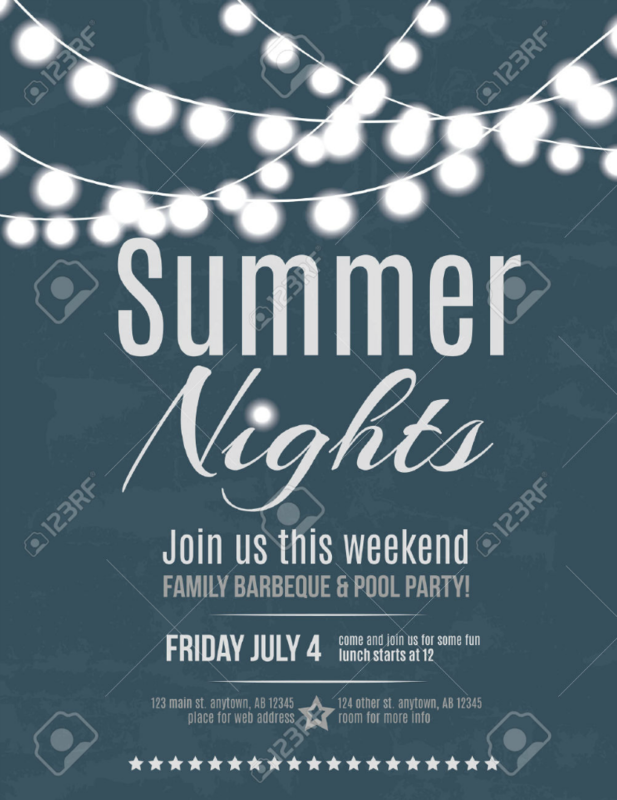 Lastly, the element on this barbecue party invitation design, which supplements the rest of the features, is an image of a piece of meat at the tip of a grilling fork. Make a birthday celebration special and memorable by surprising the celebrant with a good number of attendees, which may include people who are very close to them. 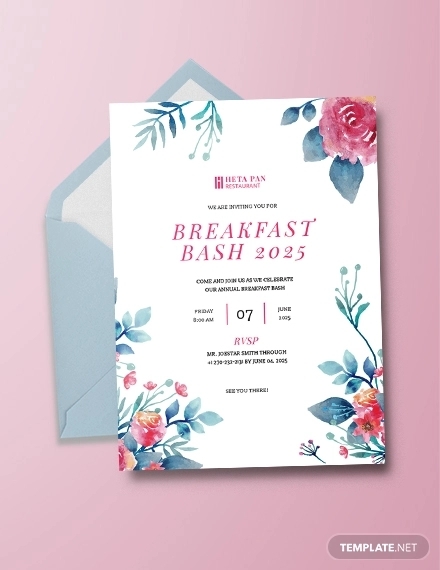 With this birthday invitation design. It may be very simple with its minimal use of color, but it’s not the color that drives the level of visual appeal of a particular design, it is the presentation of the information or contents on the design. 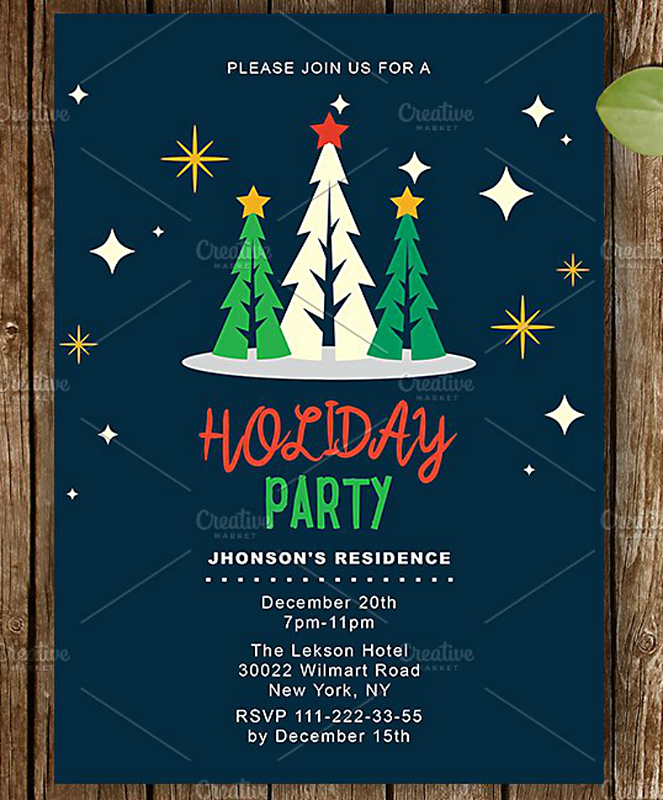 As you can see on the sample image above, the color used for the text completely contrasts with its background, and this makes the typography not only easy to read but also easy on the eyes. 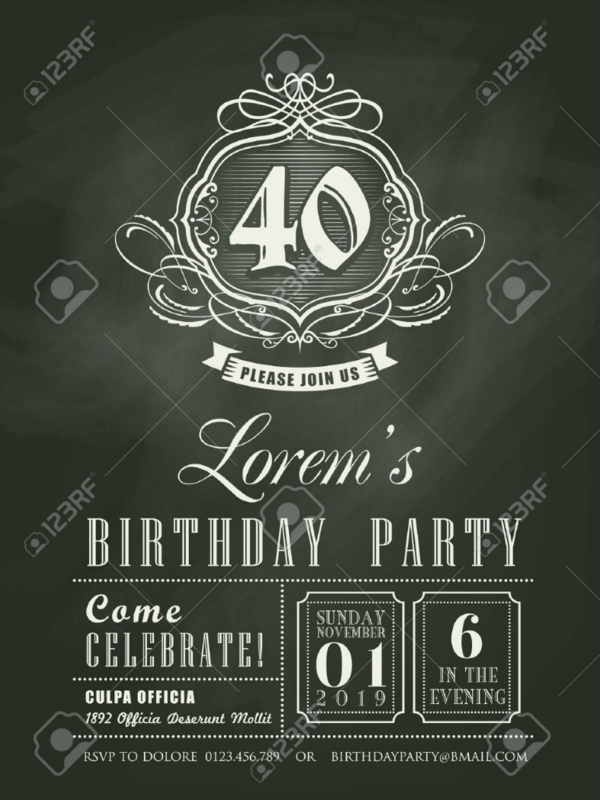 When we think of birthdays, we would commonly associate it with cakes, presents, balloons, and party hats, and if you look at the party invitation above, it clearly contains those things mentioned. 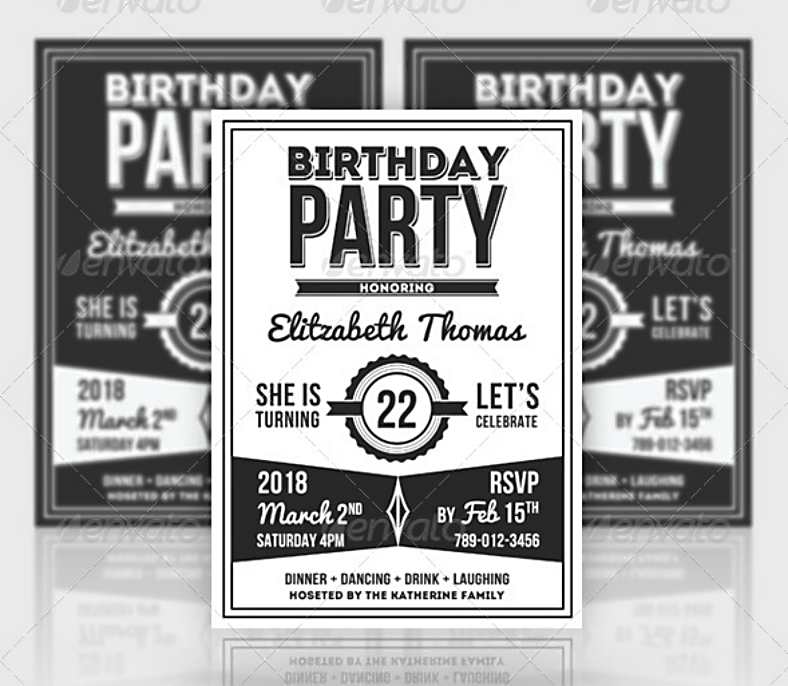 Because of those features, you will already be able to figure out that this invitation design refers to a birthday party even before reading its contents. 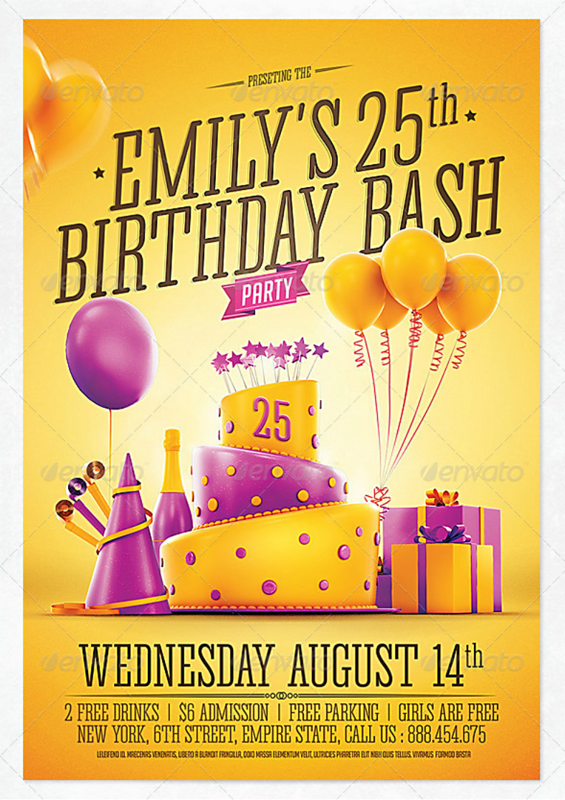 On the sample above, the color scheme used for this design is yellow and purple, but if you have another color scheme in mind, you are allowed to change it to something that suits the theme of your birthday party. In the world of fashion, there are people who love polka dot clothes while there also those who prefer stripes, and in graphic designing, there are solid-colored backgrounds and there are also textured ones or those that have color patterns. 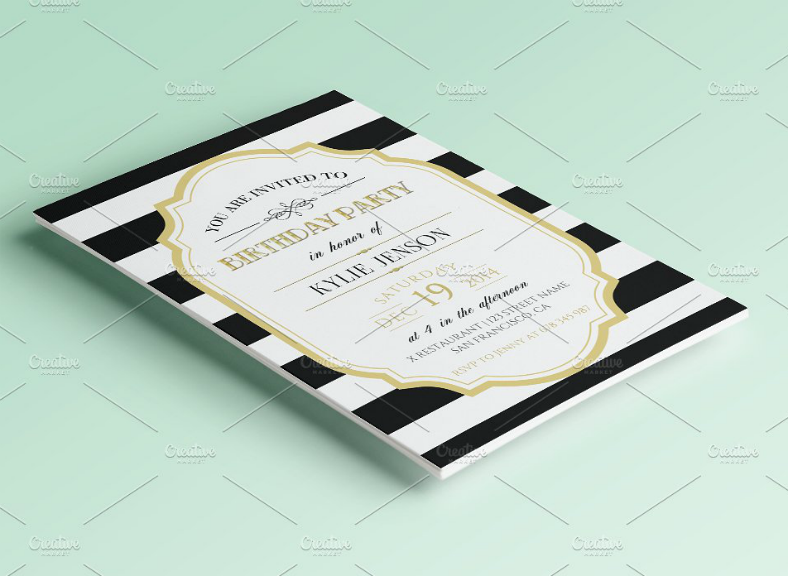 For this party invitation design, there is a pattern of black-and-white stripes that run from the left side of the design to the right, making it appear like a vintage-style invitation. 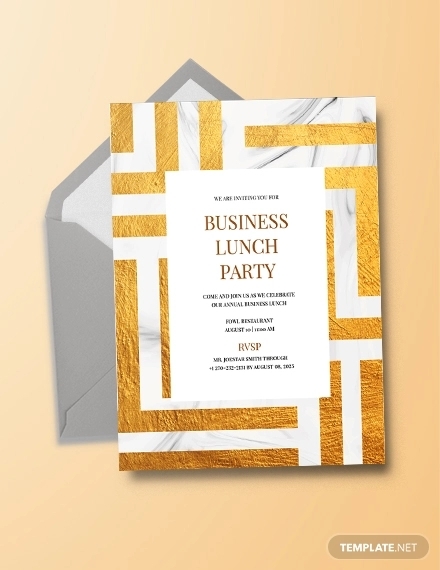 So if you are the type of person who enjoy stripes and want to incorporate a sense of elegance on a design, then don’t hesitate to download this party invitation. Little children, mostly girls, love unicorns, even though we know that these creatures are not real. 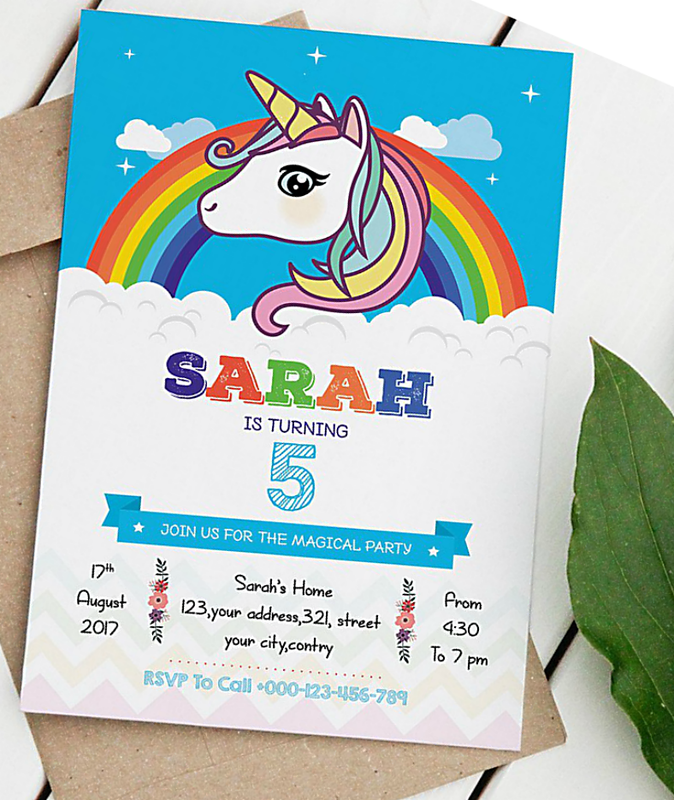 There is really something with unicorns that make these children fall in love with them, which makes this invitation design appropriate for children’s birthday celebrations. 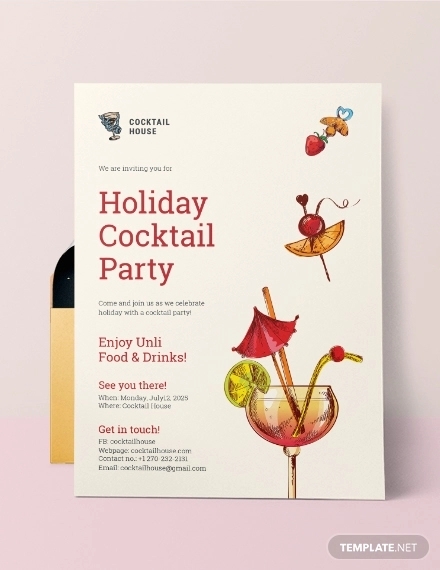 The effective use of vibrant colors in this design, which supports the illustration of the unicorn, is more than enough to capture the attention of not just children, but also grown-ups as well. 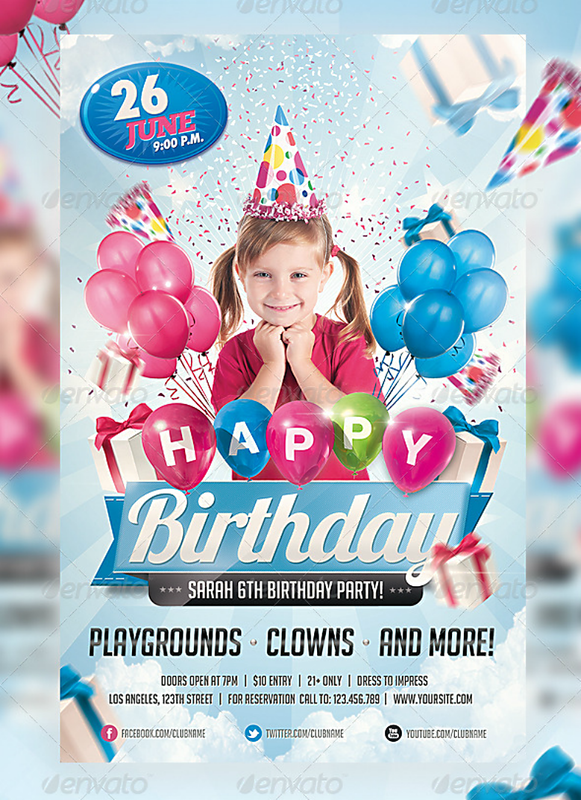 For the rest of the features on the lower half of this design, the choice of typeface along with the fact that they also appear hand-drawn, further makes the entire design look appropriate for a children’s birthday party. The autumn season, otherwise known as the fall season because of the occurrence of leaves drying up and falling down from their branches, is the time that paves the way to the winter season. Several events happen during this season, which includes Thanksgiving in the United States, Day of the Dead in Mexico, and the Outback Festival in Australia just to name a few. 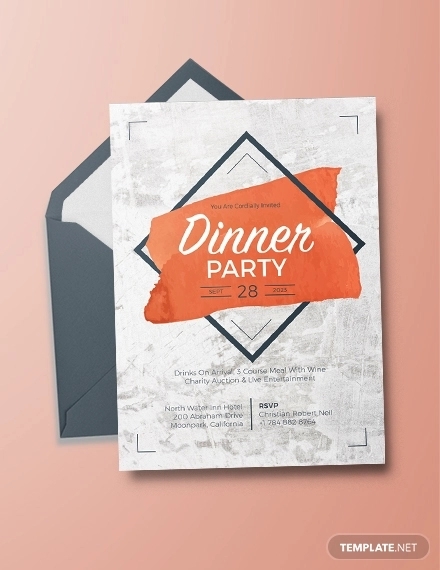 If you are planning on hosting such celebration or have another event in mind such as a simple dinner party, then may we recommend this formal invitation design that you can use to invite your guests. 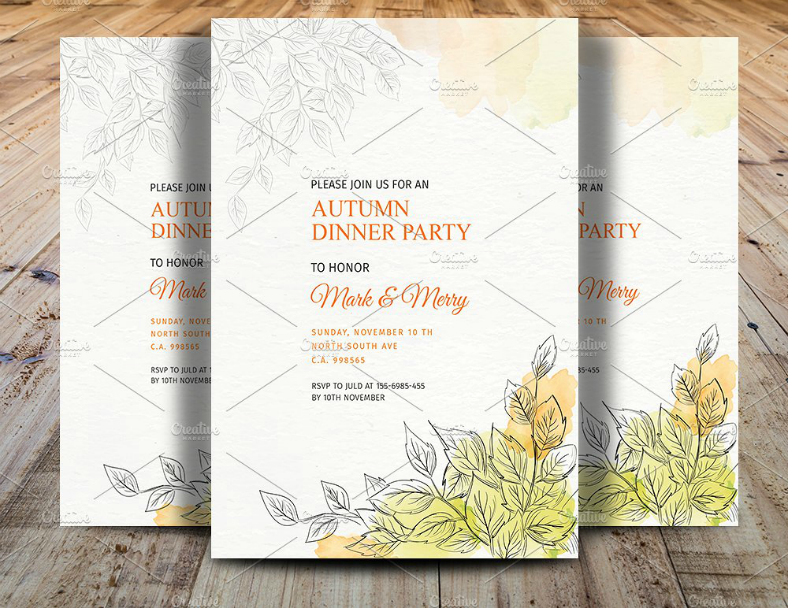 The hand-drawn–inspired sketches of leaves on the corners of the design are very appropriate to the occasion and are able to enhance the quality of the invitation. While there may be people who are not really avid fans of Major League, but we can both agree that even they wouldn’t say that baseball isn’t a great and intensively physical sport. The game of baseball requires lots of physical strength, endurance, and quick reflexes, which makes it really exciting to play and watch. 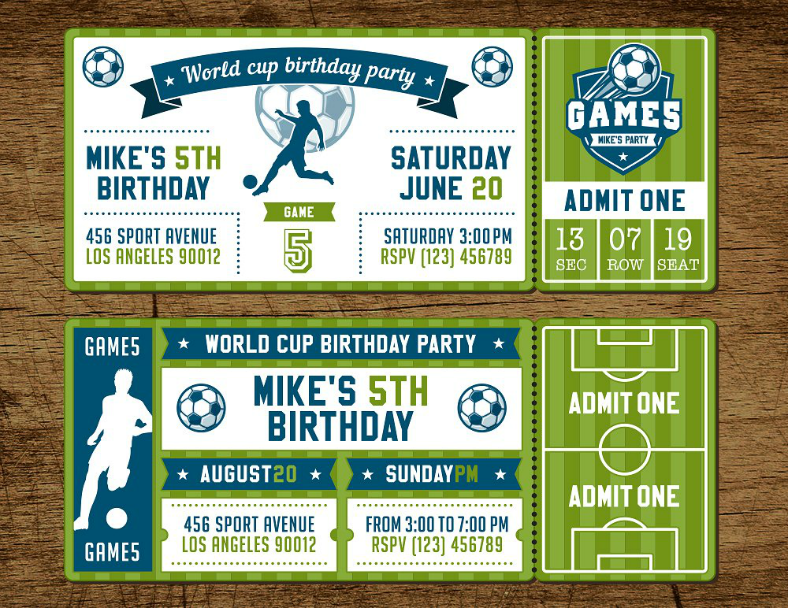 For those fans of baseball, why not design your party celebration invitations similar to baseball tickets? 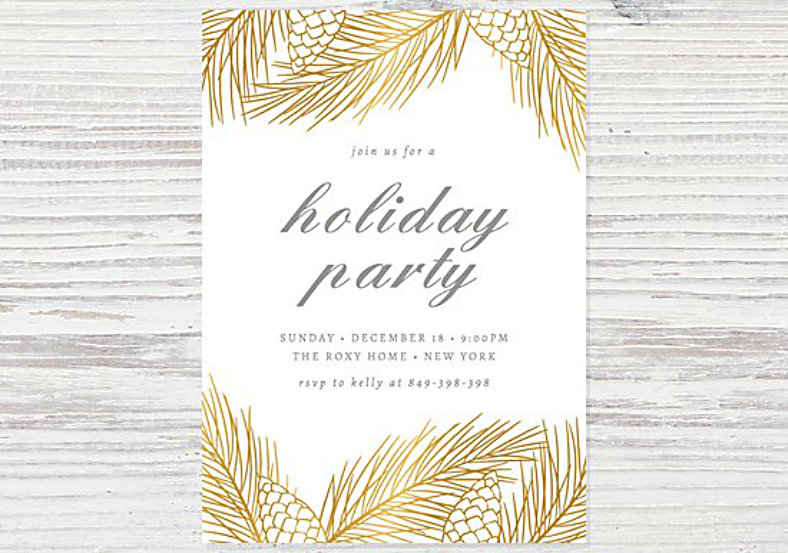 Not only will your invitations be totally unique from others, but they will also be very meaningful and memorable to the person being celebrated. 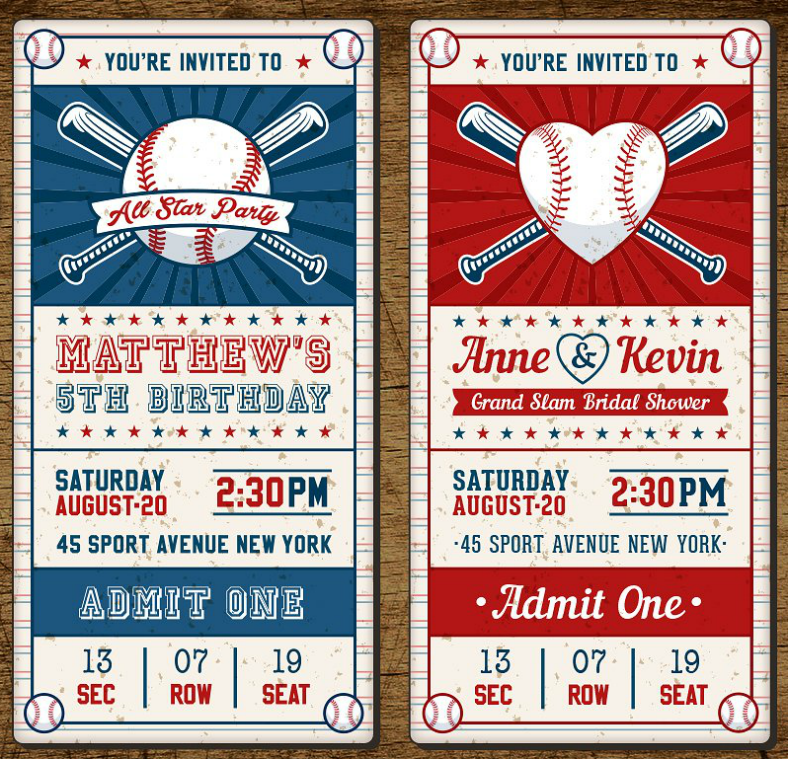 So whether you are using this design as a wedding invitation, or for birthdays or bridal showers, these baseball ticket-inspired invitation designs may come in useful for you, just check out the samples above for reference. 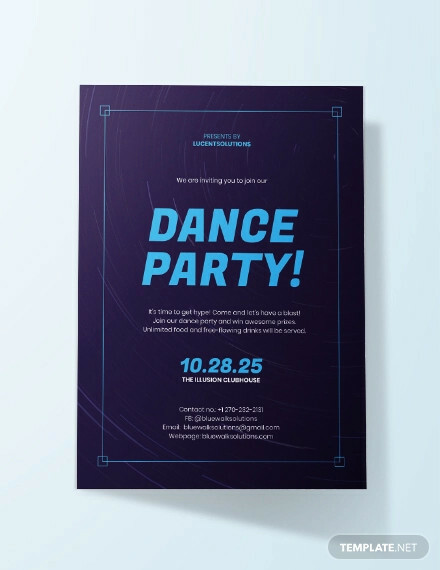 Here is a very straightforward invitation design intended for Halloween parties. 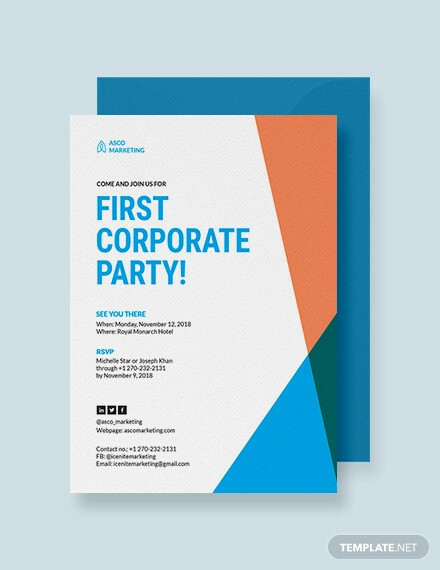 From the looks of it, you can already say that this design leans heavily toward simplicity with the very minimal use of colors, graphics, and other elements. 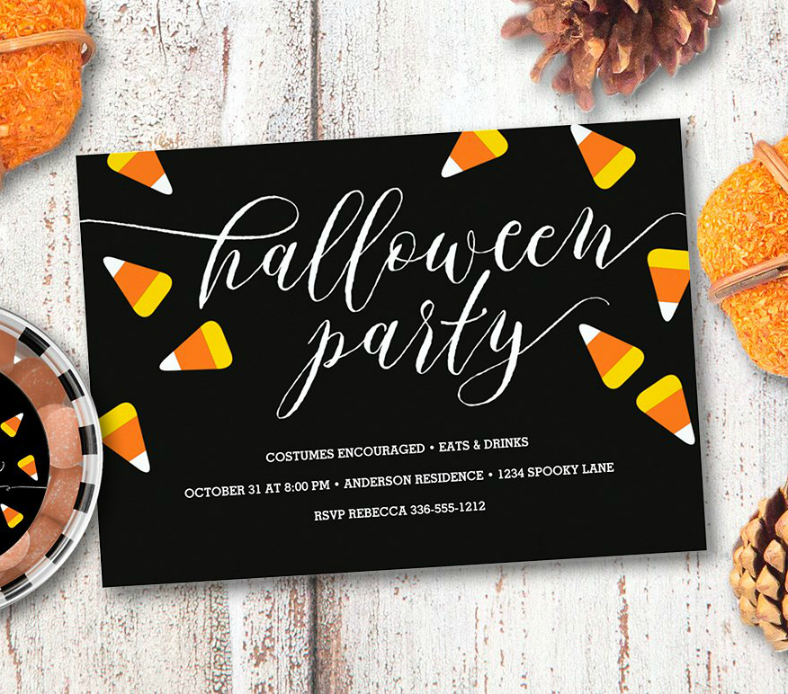 Yet, you can still easily determine that this is a Halloween-themed invitation because of the dark-colored background and the color scheme for the graphic elements around the sides, which resembles the one used to represent Halloween orange and yellow. This design needs no further explanation, except for the fact that it is a very good choice to use when planning to host a party for Halloween. 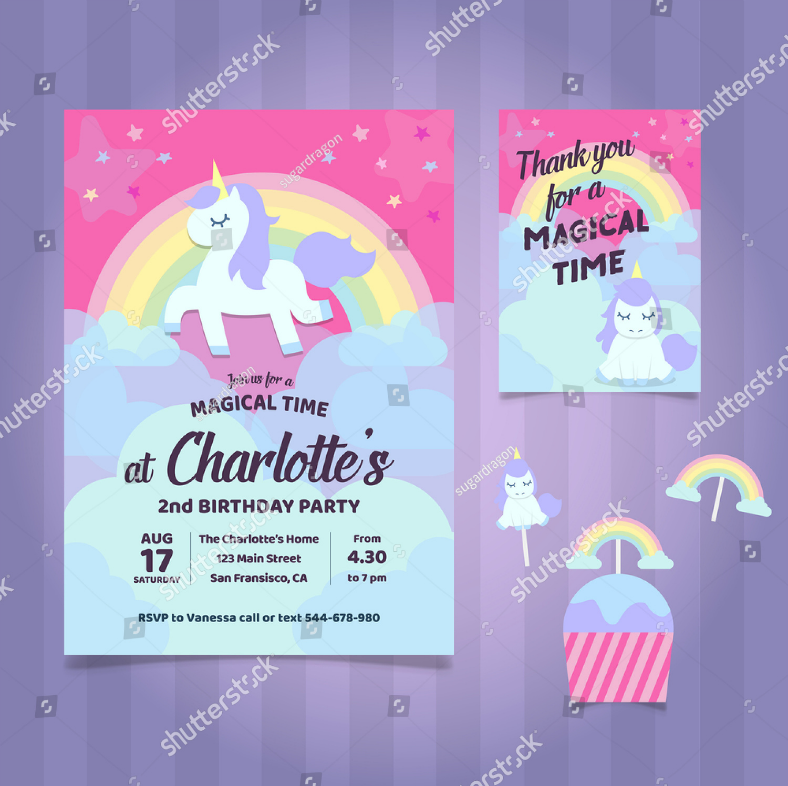 One unicorn-themed birthday party invitation is never enough, so we are offering you another one that is just as cute and creative as the previous one. This design contains similar elements with the other one including the unicorn (of course), a rainbow, and clouds. 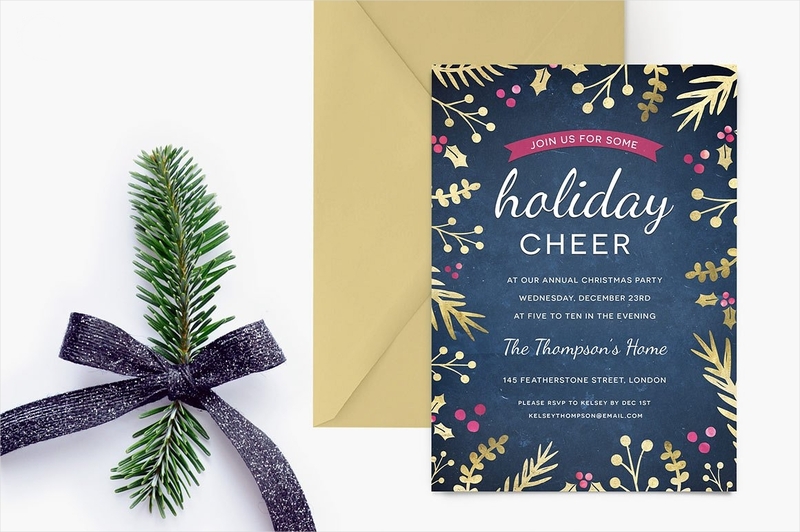 If you choose to go with this design, you won’t be getting only the invitation card design, but you will also get a matching thank-you card design as well. 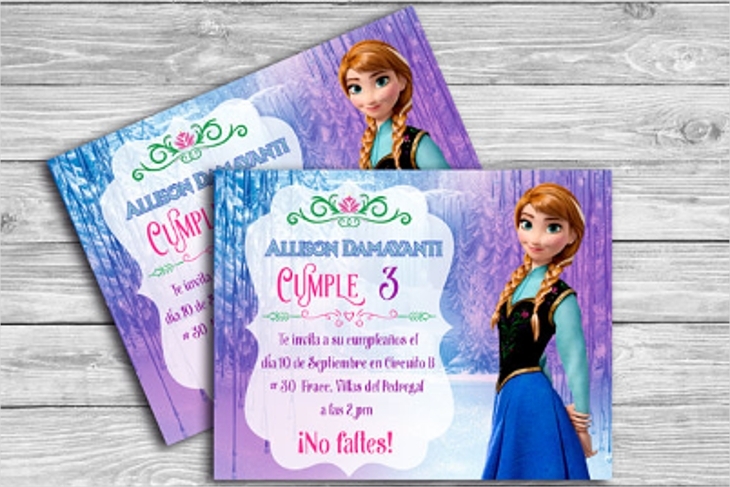 Since your children are the most precious persons in your life, make their birthday parties magical by downloading this design for the invitations. 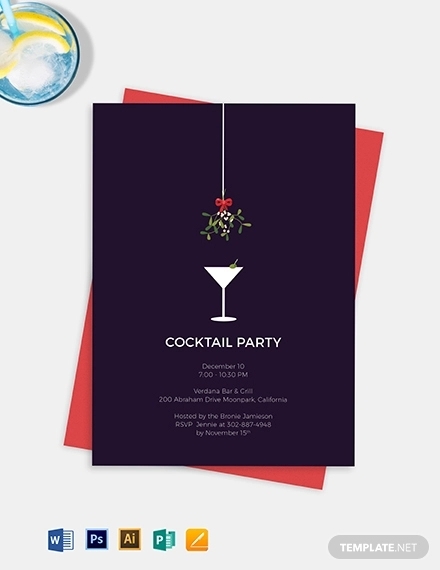 If you are planning to host a cocktail party, which is a common type of party for business or even social gatherings, then here is a self-explanatory and minimalist party invitation design that may be appropriate for the type of event that you have in mind. 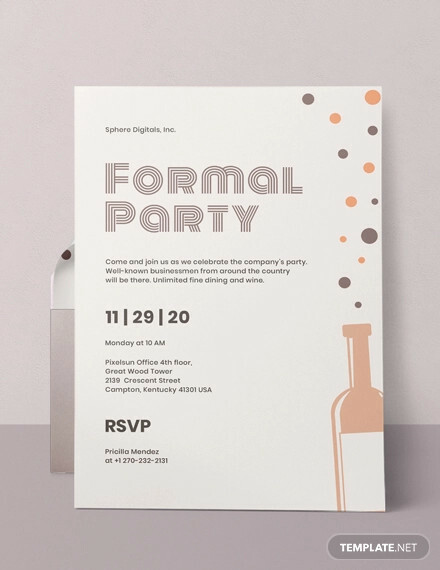 Since we can always associate formal themes with simplicity, and this invitation design is very much on the simple side, so why not go with this design? 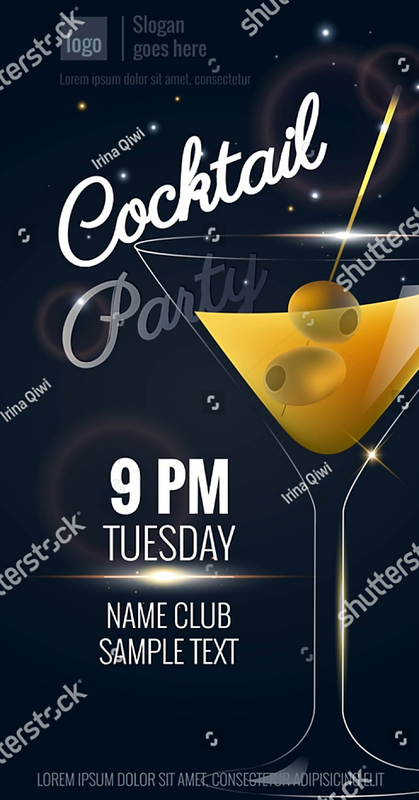 You may be able to use this as a business invitation, simply edit the text and add the details about your cocktail party, and you are good to go. Disco parties, people feel more alive when they dance, even if they actually don’t know how to dance or are just really bad at it, but it doesn’t mean they should not do it. Dancing uplifts the spirit, and is almost similar to doing cardio exercises, which is why there are workout routines that were developed from dances. When it comes to disco, it is not so much on the choreographed dance but, rather, more on the spontaneous and “moving to the beat” sort of dance, and this is what many people love. 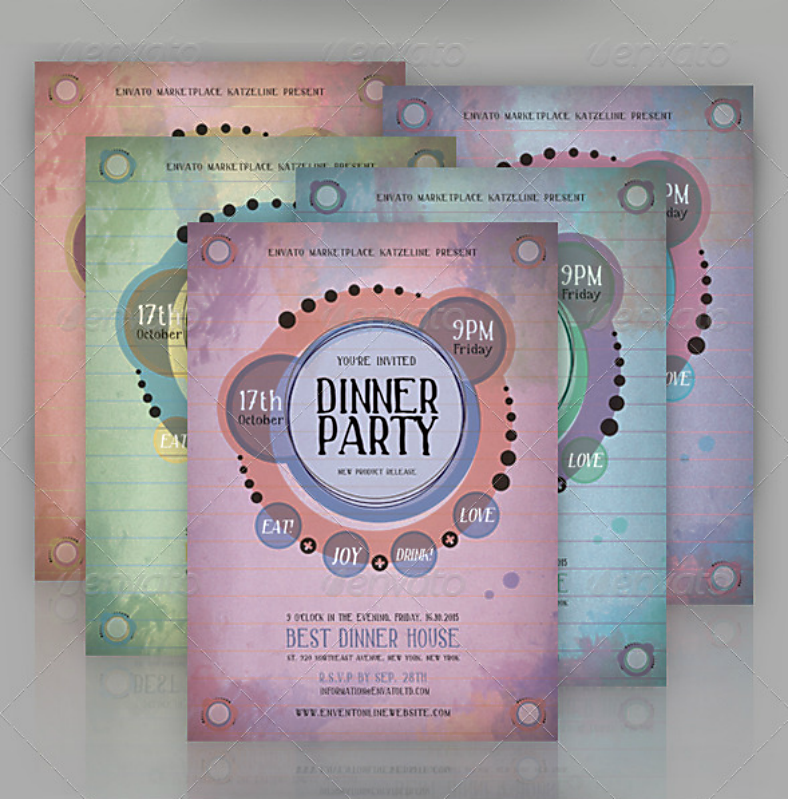 So if you are putting up a disco party, check out the colorful and creative invitation design above. Whether it is the summer season or not, going to the beach will never become a dull moment even if you don’t like going into the water. The way the water moves and the waves crash into the shore, the footsteps that you see on the sand, and the other beachgoers having fun, going to the beach can really help in relieving you from all the stress. 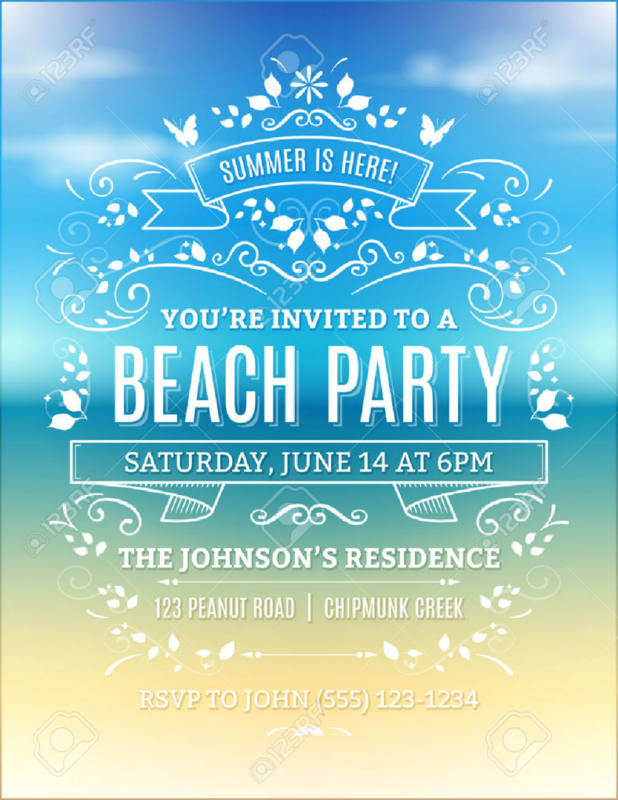 Above is an example of a beach party invitation design that you may find useful. 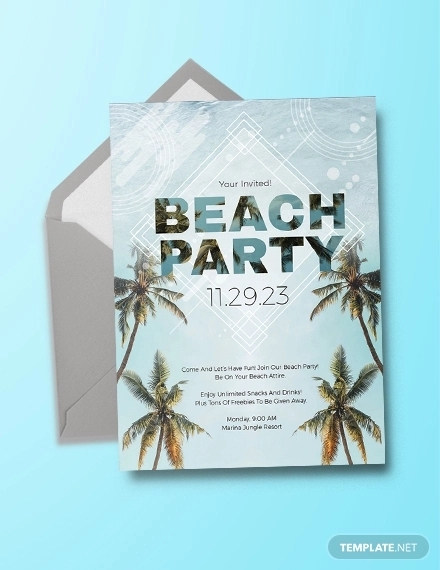 Don’t hesitate to download it if you are planning on hosting a beach party. Get rid of all the negative thoughts and start rewarding yourself with happy moments that you can treasure. Go to the beach and enjoy the experience. 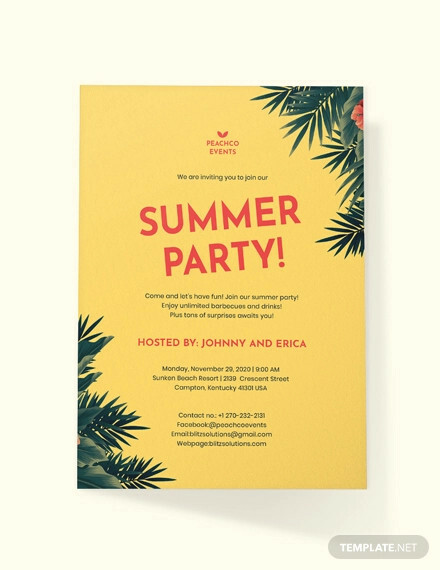 Here is another summer-themed party invitation, but unlike the previous one that we have just showed you, this one is more formal-looking and can be used for family gatherings or as a pool party invitation. 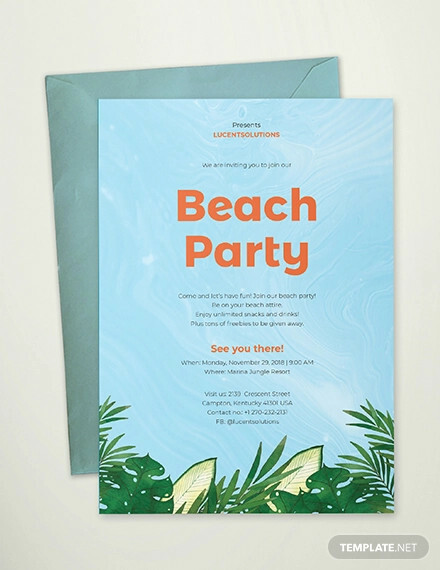 The previous summer party invitation design had a blurred out image of the sand and the ocean, while this one has a solid-colored background, and the main features for this design are the text. And to prevent from making this design appear bland, minor enhancements are added to it, such as the series lights on the upper portion and the row of stars on the lower portion of the design. 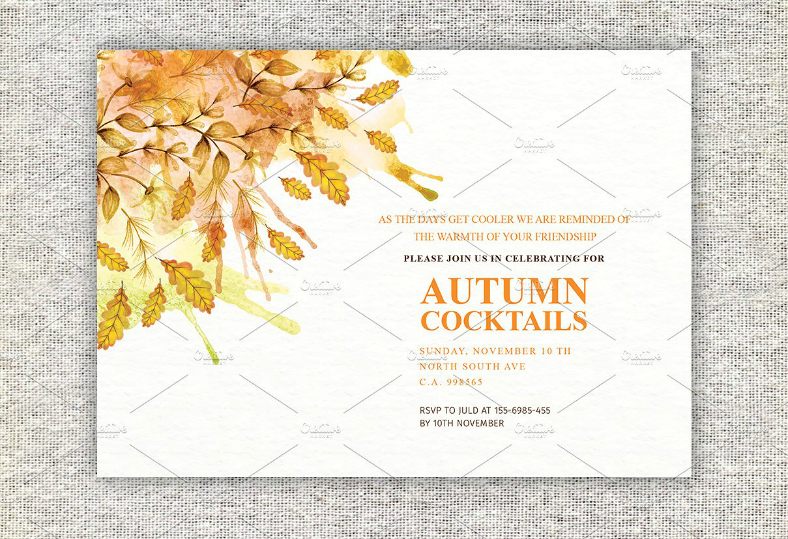 The final party invitation design on this collection is intended for those parties that are held on a garden. While any type of celebration can be a garden party, but the most common ones would include wedding receptions, debut parties, and family reunions. 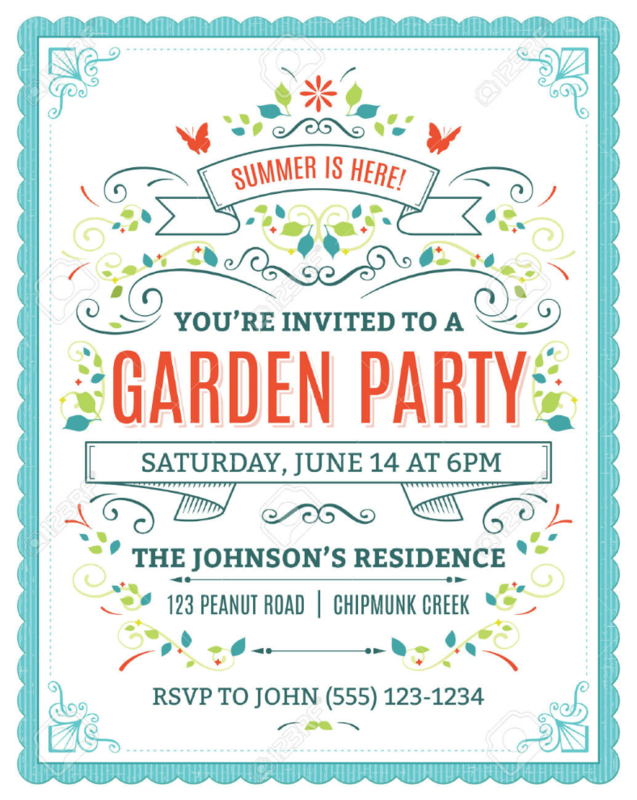 For this garden party invitation design, it is more on being a summer event as evidenced by the text on the ribbon on the upper portion of the design, but you can always change that to something else. 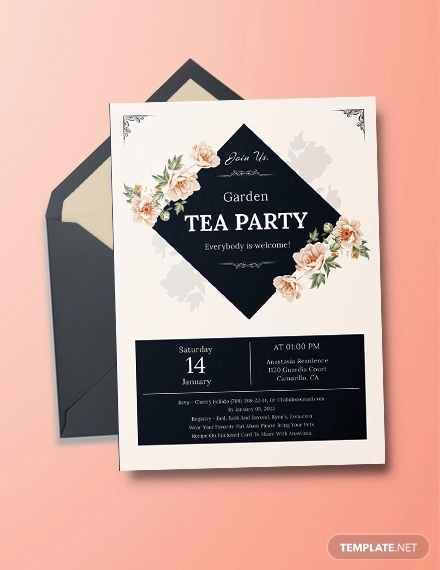 Since gardens are very colorful with all the flowers and plants growing on it, it makes perfect sense if you download this colorful invitation design for your garden party. 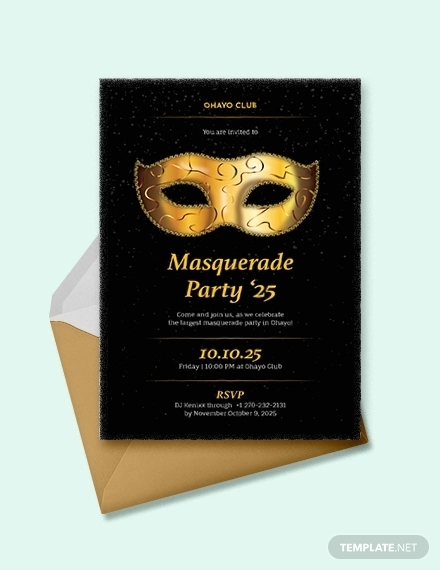 Were you able to find the party invitation design that you need from our collection? These designs have been gathered from multiple source websites and were being contributed by highly skillful and experienced graphic artists from all over the globe. 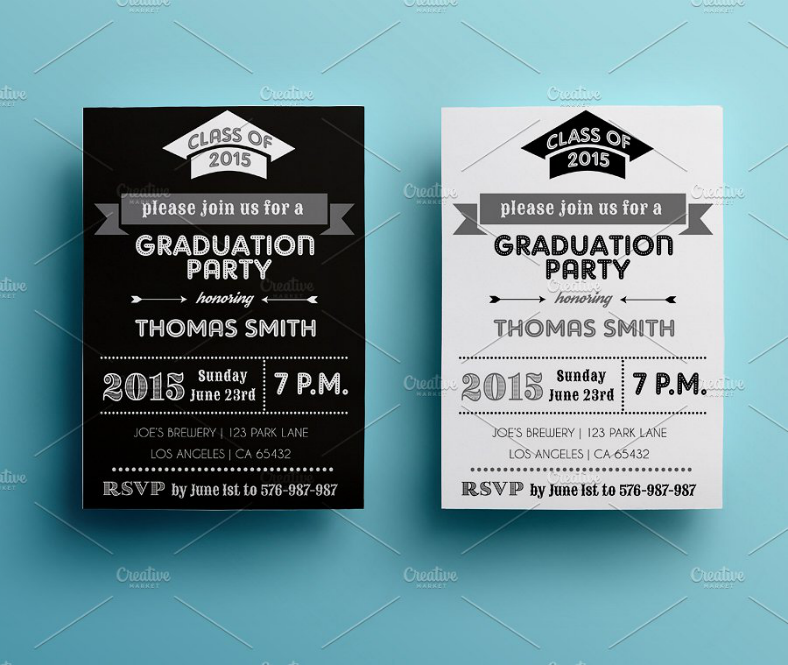 They want you to have the most visually appealing invitations for you party, and you can thank them by downloading a design. 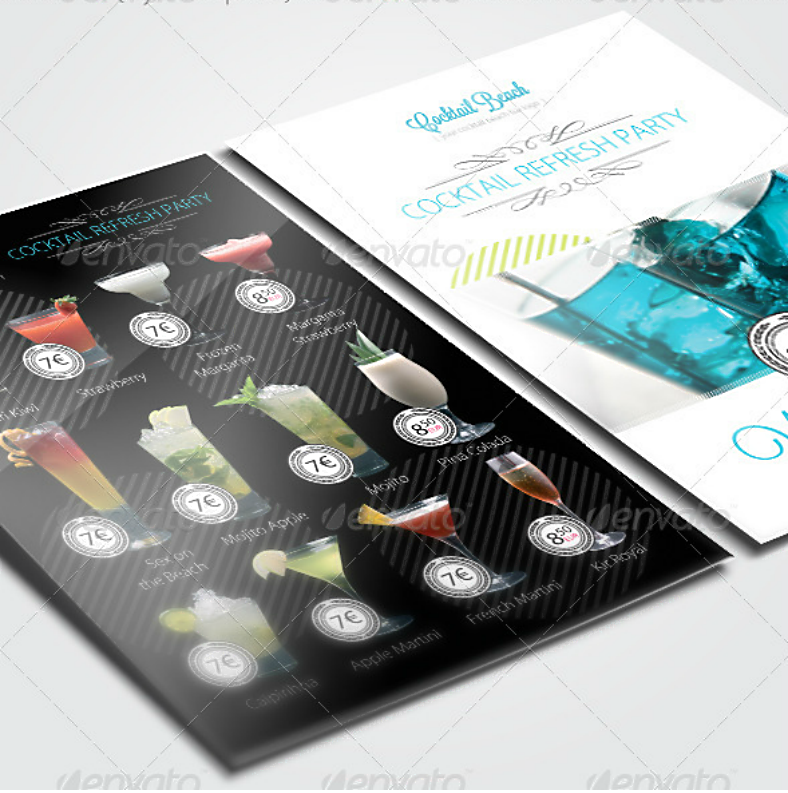 These invitation card designs can be downloaded very easily, and for a very reasonable price. Editing these designs can be just as easy to do as well, and since these designs are all in PSD. Make sure you have Adobe Photoshop or any PSD compatible software installed on your system to be able to edit them. So what else are you waiting for? 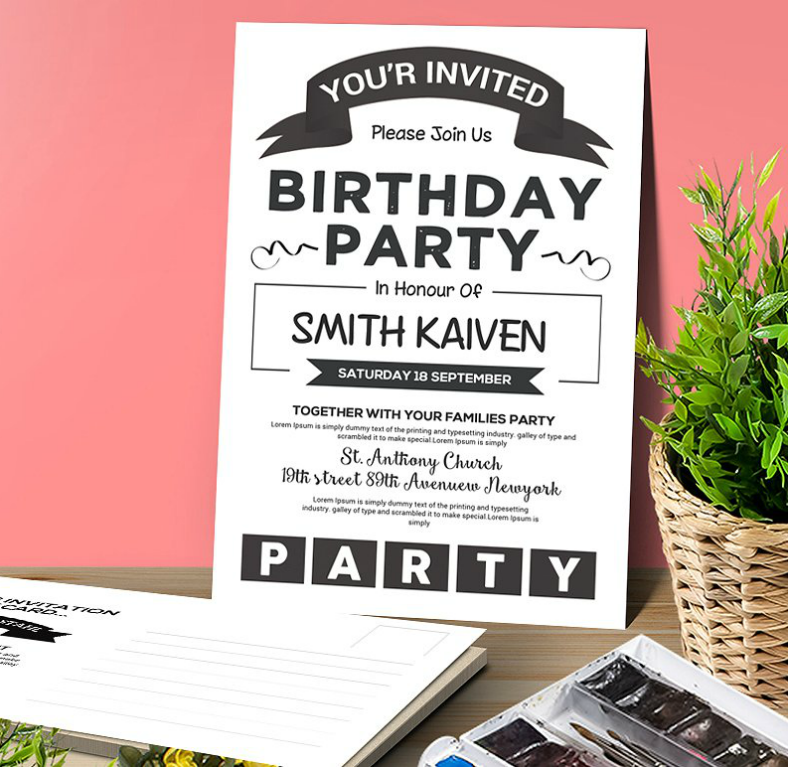 Download a design now so you can start making your party invitations.